Rock Bottom Pricing on Billing Services Can Lower Your Billing Costs up to 20%…. Add-ons include EMR and Clinical Decision Support for Clinicians and Scheduling, Online Eligibility Verification and Marketing Support for Front Desk Staff. We specialize in medical billing for all types of private practices including rehab clinics (PT / OT / Chiropractic), speech therapy clinics and mental health clinics. We go above and beyond a ‘regular billing service’ because we’ll give you tools to get more patients, document effectively and monitor your metrics intelligently. We don’t just bill for your practice. We help you grow your practice. With an integrated EMR and billing software, we’ll save you thousands of dollars each month. In fact, a single phone call can lower your costs by as much as 20%. Watch the video below to learn more about the In Touch Biller Pro software and the In Touch Biller Pro service and then click on the button below the video to schedule a call to learn how we can help lower your billing costs. When you make the right decision and get our billing service, you’ll have the option to add on an integrated software suite of EMR, billing software and clearing house services in one integrated solution. You’ll get a dedicated billing account manager who’s available to answer your questions about your cash flow and help you identify at least ONE area of improvement to your cash flow each month. We’ll help you get paid more, faster. In 10 minutes, we’ll show you how In Touch Billing can reduce your billing costs by as much as 20%. Schedule this call, and you’ll quickly discover how much you can save. In order to be a successful practice it is important to know where your money is coming from, and how it is being applied to your Accounts Receivables. We help you keep track of all the payments you receive, and make sure that payments are being applied within an appropriate time frame. You also have the ability to track your adjustments and collections to monitor bad debt and write offs. 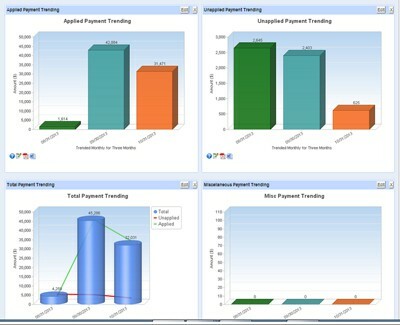 It is important to keep track of Accounts Receivable, because it is the clearest indicator of the income of a practice. 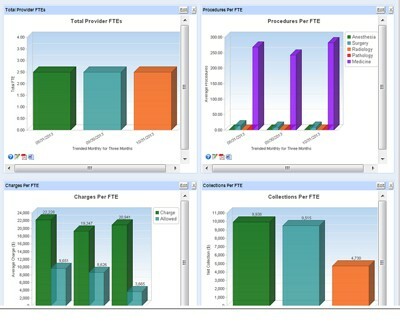 It is important to monitor the productivity of your clinicians, so you can identify areas of inefficiency instantly and improve them. With our billing service, we’ll help you answer questions like “How many procedures is this provider billing on average?”, “What are the charge amounts?” and “How much has been collected per visit for this provider?” This will give you an astounding degree of insight into your practice. We have helped grow thousands of private practices over the years with a combination of software, live events, small group workshops and training programs. We recognize that basic elements like an EMR, billing software and a clearing house by themselves do not build a successful practice. They are just components of the bigger picture. What you need is an integrated solution: one platform for scheduling, clinical documentation, billing and marketing. 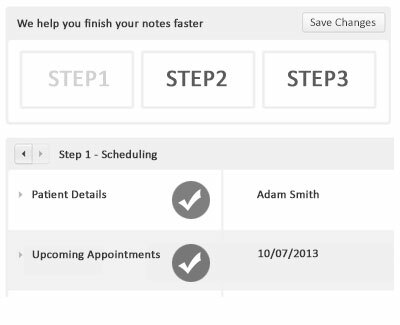 This is now possible with In Touch EMR and our patent-pending workflow. When you put great software in the hands of outstanding, dependable people, you’ll build a successful practice. Our billing clients get access to training programs like ‘Hiring Rx’ to identify, attract, hire and retain the right staff, in addition to techniques for referral generation through our ‘Referral Ignition’ training program. In the last 12 months alone, our billing software has been used to process over $1 billion in collections and millions of insurance claims from thousands of payers in every state across the country. We are based in Denville, NJ and our billing staff is located in the United States and overseas, to help you lower your costs and maximize your revenue. 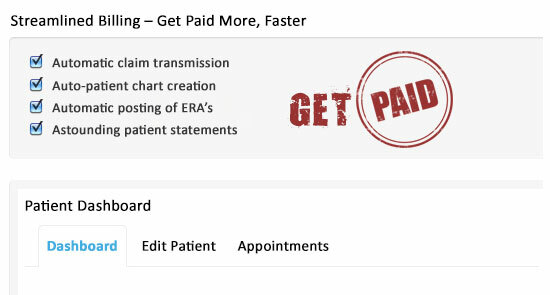 Online patient eligibility verification leads to automatic patient chart creation at the front desk, which minimizes billing errors at the outset. Our claim scrubbing technology combined with a painstaking manual overview of each claim ensures a 99.5% claim acceptance rate. Insight into all the payer rules allows us to bill quickly, allowing you to maximize your cash flow. 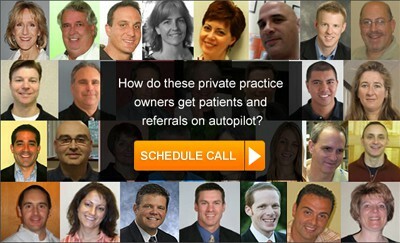 Aggressive follow up and denial management processes improve cash flow by helping your practice get paid more, faster. Automated compliance and security alerts to document quickly, efficiently and increase staff productivity in the process. Simple, easy to understand patient statements help increase patient payments.